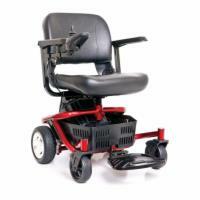 Golden Power Chairs are among the highest quality wheelchairs being made today. All wheelchairs manufactured by Golden Technologies are designed with the user in mind with the idea of improving on what other wheelchair manufacturers do right and fixing what is wrong. With innovative design and cutting edge technology, Golden’s center wheel drive wheelchairs offer superb maneuverability and functionality. The Golden Compass and Compass HD are excellent examples of these characteristics. 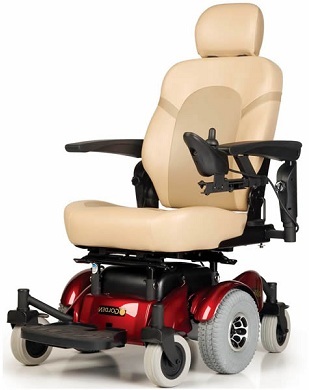 If you want a top-of-the-line power chair that will turn heads and offer all of the features you want or need, a Golden Compass is what you are looking for. The LiteRider PTC is a compact power chair that offers the same level of style, functionality, and design as the Compass. 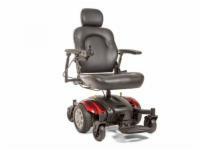 If you’re looking for an electric wheelchair that is stylish, lightweight, and low-cost, a LiteRider Power Chair may be the perfect wheelchair for you or your loved one. As with most all of the wheelchairs we offer, Golden wheelchairs are very customizable for virtually anybody’s unique needs. Baskets, bags, cane/walker and oxygen tank holders are optional accessories, as well as a number of other items. Please feel free to contact one of our power wheelchair experts with any of your questions or concerns. 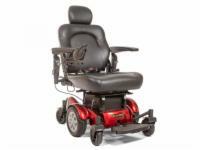 We are the electric wheelchair experts and we have the experience to help find the perfect power chair for YOU! Call 1-800-347-9024 today!